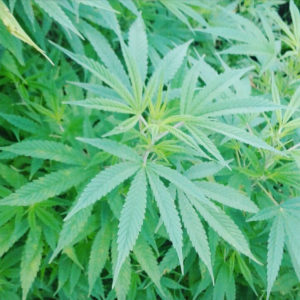 Hemp, or industrial hemp, is a variety of the Cannabis plant. It may look similar to Marijuana but Hemp is actually a distant cousin and a non-psychoactive member of the Cannabis family. It’s the difference in cultivation as well as chemical makeup which makes Hemp such a unique plant. Hemp is a still a fairly new industry to the USA but has been proven across the world to be a necessary resource for individual to industrial needs. Hemp has been used to create thousands of different products; from industrial building materials to skincare treatment. It requires less water to grow, which makes it a great alternative to traditional crops for farmers, and requires very few pesticides so it is better for the environment. The skill of using hemp fibre in clothing can be dated back to 10,000 years ago! Henry VIII encouraged British farmers to grow the plant to provide materials for the military – way back in the 1500s. Early settlers in 17th century America were ordered to grow hemp by the government and even up until the US Civil War, there were approximately 8,400 hemp plantations in the country, according to the 1850 US census. In the early 20th century when mass industry was booming in America, advantageous businessmen started to mass produce Hemp into oils, papers and other widely used products. Unfortunately established competitors across all industries banded together to suppress the development of this lucrative, high yielding plant before it had a chance to free Americans from the Petro-Pharmaceutical Complex. In 2014 the US government passed the Federal Farm Bill, allowing State Departments of Agriculture and Universities to grow, process, and study hemp. This allowed businesses like Kentucky Hemp Works to attempt to create a market for domestically produced hemp products. 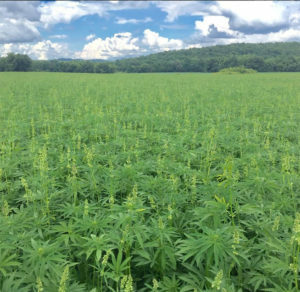 In 2014, the Kentucky Hemp Works team was involved in one of the first Hemp Pilot Programs and legal grow operations since World War II. Our seed was even hijacked by the DEA upon entering Kentucky; subsequently a legal battle between Kentucky Agriculture Commissioner James Comer and the DEA ensued and a Federal Judge ordered the DEA to allow those seed to be planted in Kentucky. This marked the beginning of Kentucky Hemp Works. Since then, James Comer, now a U.S. Representative in Congress for the 1st Congressional District of Kentucky, has filed legislation to legalize hemp for all U.S. farmers. His efforts bring a resounding message of change to Washington D.C. as our new markets and supporters demand! During WWII however, when Hemp was harder to get from foreign countries, Hemp was integral to the war efforts. Kentucky farmers were among those called to by the government to grow Hemp for use in ropes, uniforms and canvas. There was even a short documentary, Hemp for Victory, produced in 1942 to promote Hemp’s use in the war efforts. At the end of WWII Hemp returned to being a prohibited plant and although the government recognized the differentiation between Marijuana and Hemp, it wasn’t until the late 60’s that the Controlled Substances Act was passed and hemp was no longer recognized as a different plant.